Three brazen criminals forced a family out of their vehicle in Lenasia. 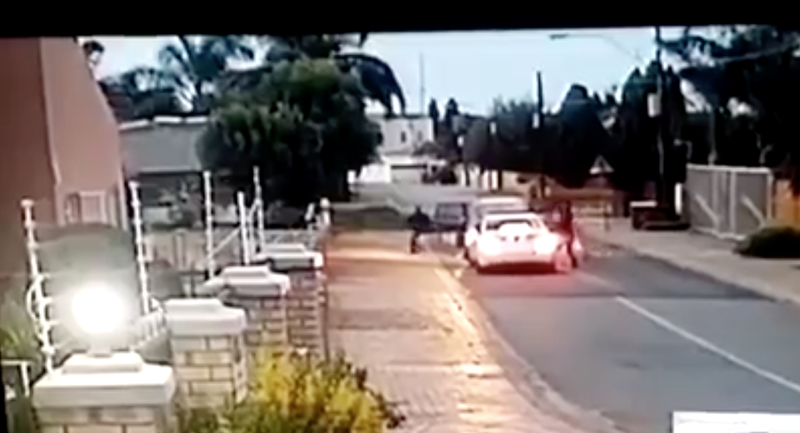 A video surfaced on Facebook of a hijacking which allegedly happened on Impala Crescent in Lenasia extension 5. In the video, a white car can be seen to be driving in a residential area while another vehicle is seen turning left into the same road as the victim's car. The white vehicle soon realizes the car is not going to pass but will stop right in front of it. In the video, it is evident that the vehicle has no way to turn or escape the situation. The hijackers then come out of the car and start pulling all the passengers out of the other car before driving away. One of the passengers was left on the side of the road. What safety tips do you have for people involved in hijackings? Let Rian van Heerden know in the comment section below.